nautical – Design Your Lifestyle. Are you “on trend” with your Spring 2018 kitchen design? While it’s important to create an overall kitchen design aesthetic that’s “built to last”, there are always ways to tweak your kitchen design and spice things up with changing times. Maybe you don’t have it in your budget for a total kitchen makeover – but that’s not necessary! Changing or updating just one small facet of your current kitchen can make all the difference in the world. The key is choosing the right updates – and utilizing a world-class kitchen designer certainly doesn’t hurt. 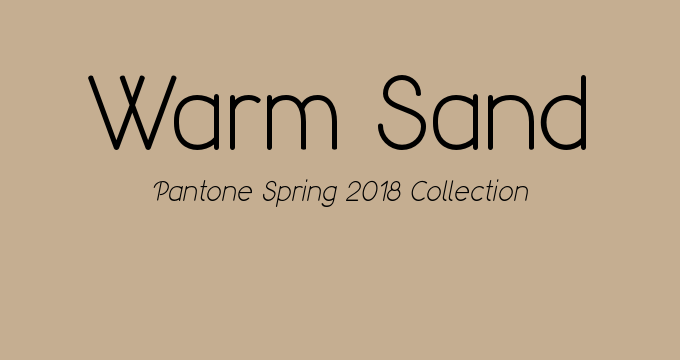 From Pantone’s Spring 2018 color collection to neutral and wood tones, there are plenty of wonderful Spring 2018 kitchen trends from which to choose. Whether you’re looking for a new backsplash design, an updated kitchen island, new cabinetry and flooring options, or modernizing some out-of-date appliances, this season’s kitchen design trends offer lasting solutions to your individual needs. Let’s take a look at several of Spring 2018’s best kitchen design trends, and how you can utilize them to create (or update) the kitchen of your dreams. Top Spring 2018 Kitchen Design Trends: Update Your Kitchen! 1. Use a splash of Spring 2018 color to update your kitchen island or backsplash. 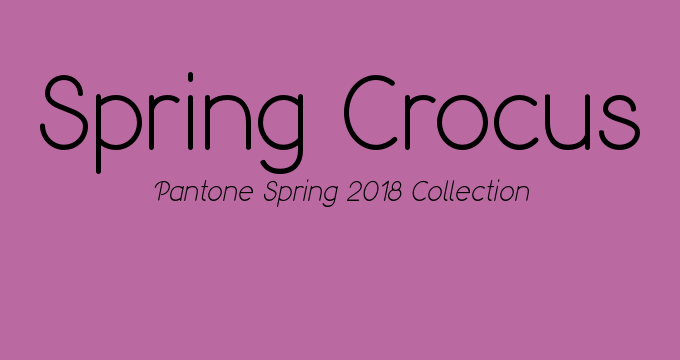 Spring 2018’s color scheme, according to Pantone, is full of bright tones and pastels that work as well in your kitchen as they do on the runway. 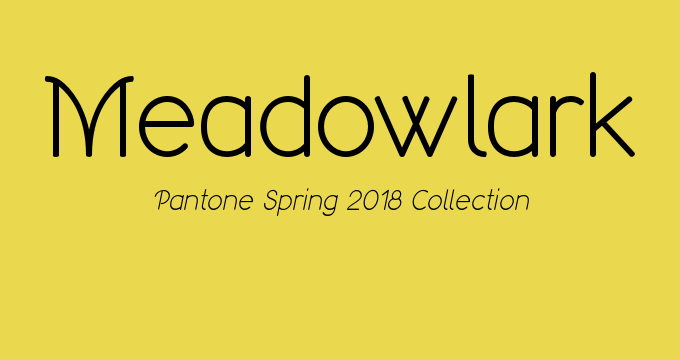 From Spring Crocus to Meadowlark, so many of these bright tones can be utilized to add a splash of color to your kitchen design. 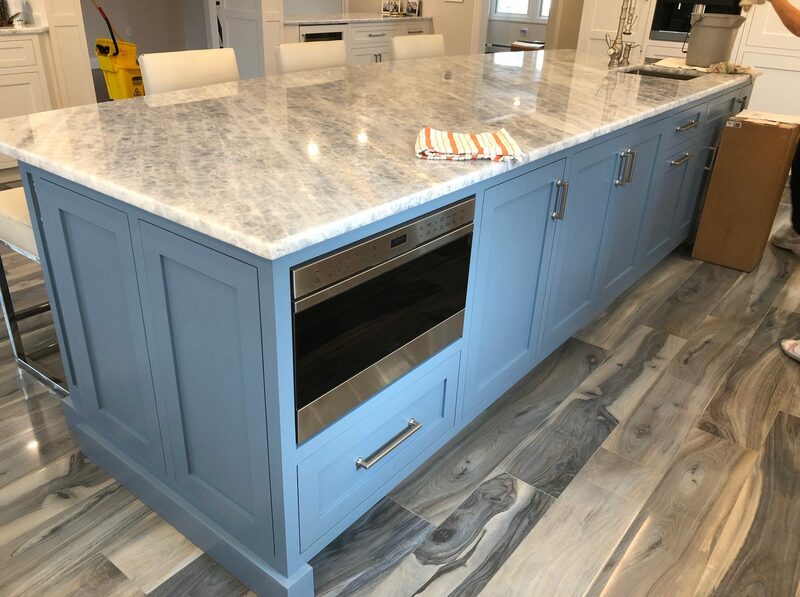 A gorgeous blue kitchen island in a new Peter Salerno Inc. kitchen design. 2. Botanicals and fresh, leafy arrangements are a great choice to spruce up your kitchen decor. Botanicals are back in a big way, with imaginative presentations leading the charge. (We love Decoist’s coverage of Framed Botanicals as a decor option.) From large vases to wall-mounted frames, bold botanical presentations are all the rage in Spring 2018. We love botanical and floral presentations in your kitchen design for any season because of the air of freshness they exude. Nothing’s more appetizing and refreshing in your kitchen than a beautiful display of plants, flowers or succulents to brighten the room with pops of color and the scent of the outdoors. Plus, you can use your botanical and floral arrangements to accent the color scheme of your kitchen! Botanical arrangements add a natural ‘pop’ to your Spring 2018 kitchen design, no matter how neutral the colors. 3. Matte appliances are still in style for Spring 2018. Matte appliances began their ascent back to kitchen design prominence midway through 2017, and the trend still very much applies to Spring 2018 kitchen design. World-renowned appliance makers like Miele, La Cornue, Sub-Zero and Wolf are all on board, letting the state-of-the-art functionality of their machinery do the talking while the finish on the appliances themselves is subtle and understated. Using matte appliance finishes allows you to let other elements of your kitchen design ‘flash’, and also lets you flow your range, sink, and refrigerator more naturally into brushed, matte handles on your cabinetry. 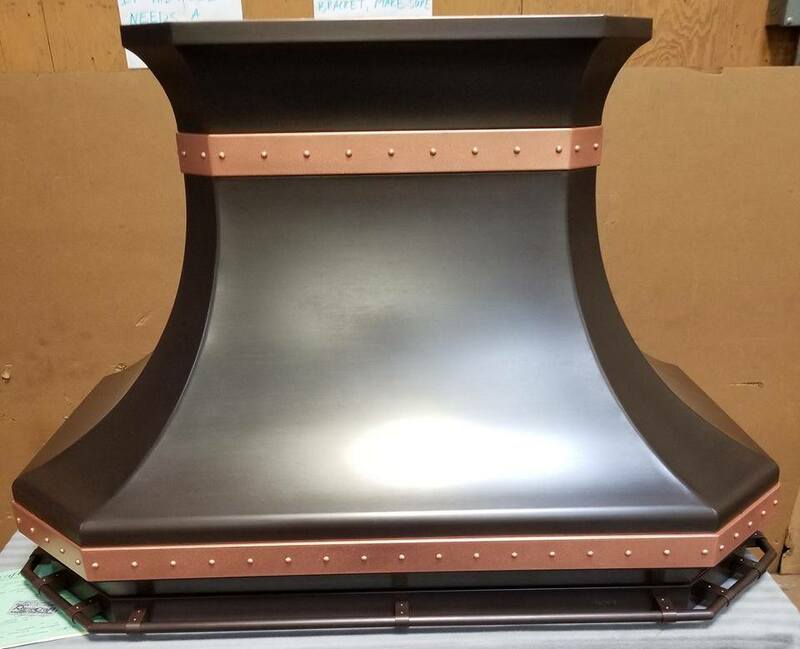 A closer look at a gorgeous custom RangeCraft range hood design. 4. 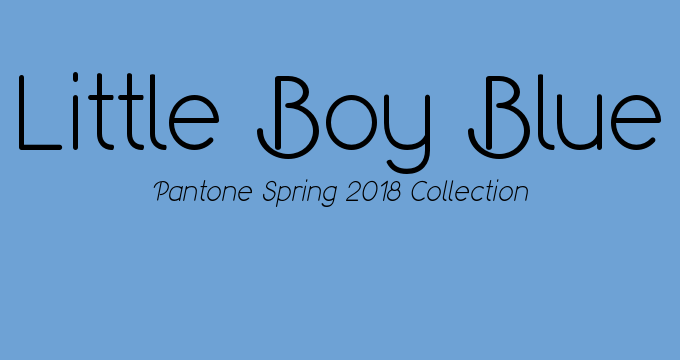 Love traditional colors? 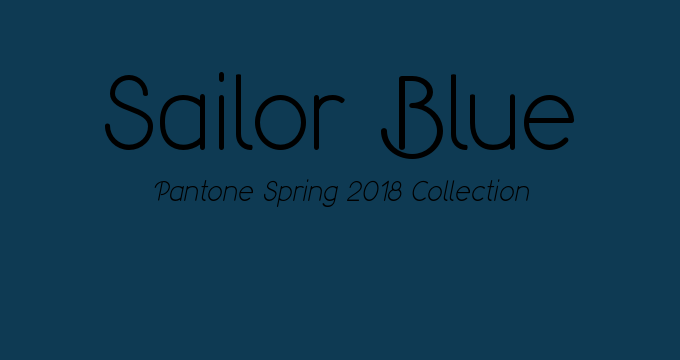 Nautical color schemes are “on trend” for Spring 2018. 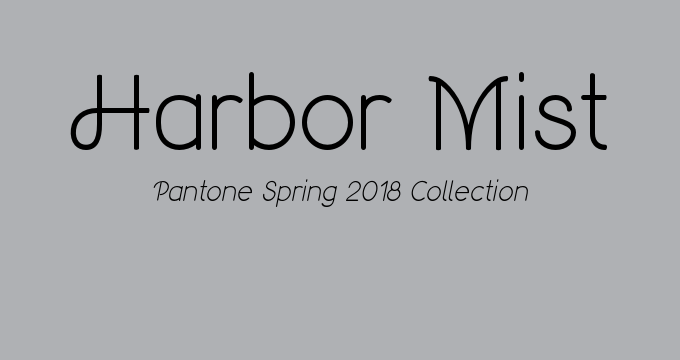 In addition to the oversized Pantone Spring 2018 collection, Pantone released a sub-set of 4 “Classic Colors” that bring nautical themes back into kitchen design. 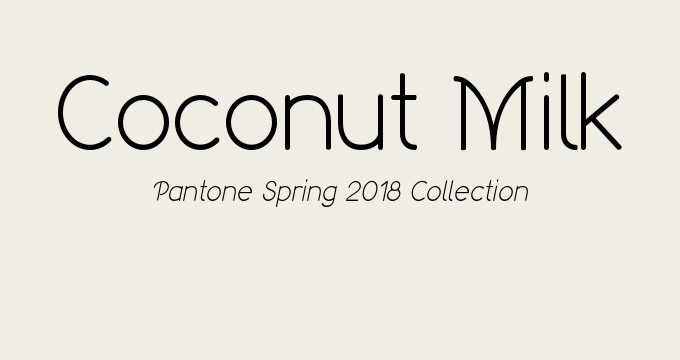 From Warm Sand to Sailor Blue, Harbor Mist to Coconut Milk, this collection of off-whites, deep blue and neutral beige is a godsend to “yacht party” style enthusiasts and classic color lovers. 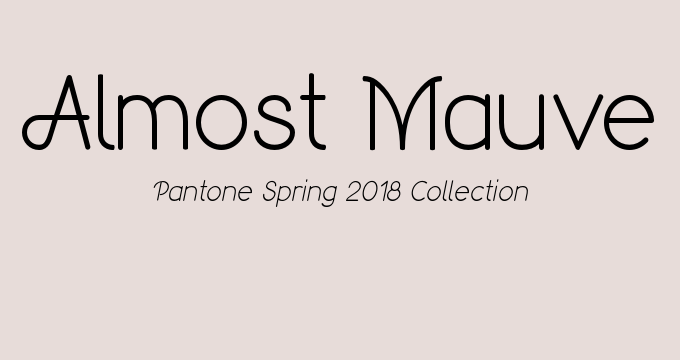 The thing we love about the Spring 2018 Classic Colors collection is its versatility. Whether you utilize these colors in your island countertop, cabinetry, flooring, backsplash or kitchen counters, they all work and flow together beautifully to create a traditional color palette that will last for years.